Lana Del Rey's 5th studio album was released September 18th 2015. 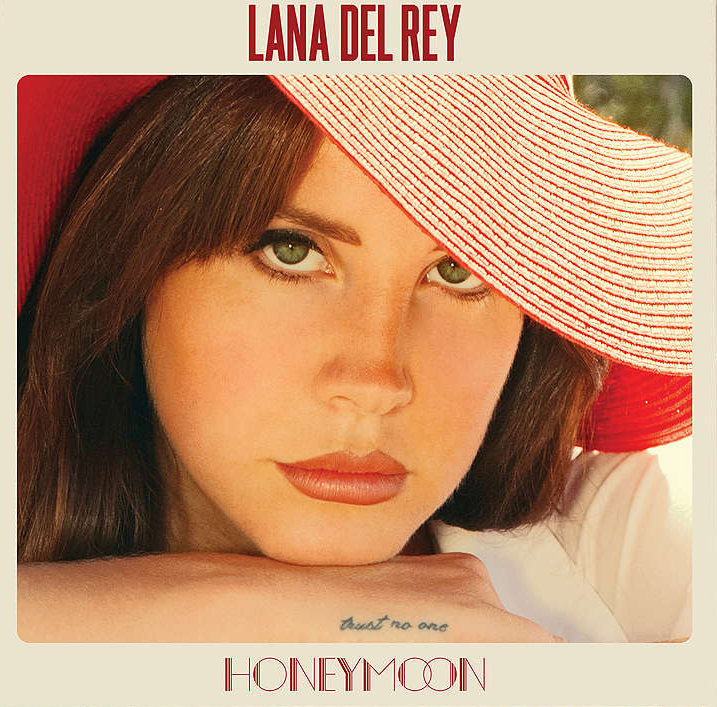 Produced by Lana Del Rey, Rick Nowels and Kieron Menzies. is this the thread for reviews? so the old thread will be locked? Why can't I buy this on iTunes if it's been released? no i'm siding with you! it's only a thread people are making a big deal out of nothing! Not people complaining that it's "too early" to make this thread when we've all heard Honeymoon in full and had time to digest it The UV post-release thread was made after it leaked also.. All that matters is that we've heard the music, so pipe down. I couldn't respectfully disagree more. I think the lyrics of HM are so much more powerful and empowering than BTD's one. I think it's also because I grew up, and I now much more relate to the mature lyrics of HM than the cheesy-in-a-good-way lyrics of BTD. It's not the same themes at all either, and it's really an unpopular opinion but I'm truly delighted by Lana's writing on this album. BTD has some gems of writing, VG BJ OTTR, but this album's writing quality is much more cohesive imho, as a whole, which is peculiar to this particular album. I most definitely understand your view on BTD though, even though I personally don't share it as I prefer Honeymoon Glad this is the direction this thread is going, thank you!